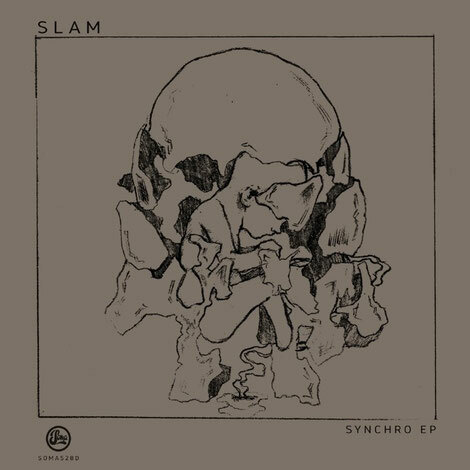 Slam return on Soma Records with their latest EP ‘Synchro’. Title track ‘Synchro’ features a remix from Autonomous, a snapping 808 electro workout with robotic beats and synths to create a melancholic vibe. The original of ‘Synchro’ quickly follows with a thundering pace as static shock synth hooks drive a steady and unyielding 909 beat. ‘Trilinear’ brings a bit more depth but still retains ferocity as resonating and pulsing synths create the tension with propulsive percussion constructing the energy. ‘Destrakt’ continues the high energy tone set by the rest of the EP, producing an intense workout and a decent end to the release. It’s out now on Soma Records, check it out below.